The Tokyo Motor Show 2011 opens on the 3rd December. 52 world premieres from the world’s leading brands and manufacturers are being eagerly anticipated. We will be uploading pictures and stories from the show as it happens. With the return of the show to Tokyo for the first time in 24 years, and 175 exhibitors from 11 countries, this year’s show looks to be the largest and most exciting yet. Mazda’s new concept mid-sized saloon the TAKERI, sporting Mazda’s innovative SKYACTIV technology and first regenerative braking system seamlessly integrated with their KODO design language. The new Passat Alltrack, Volkswagen’s latest four-wheel drive. 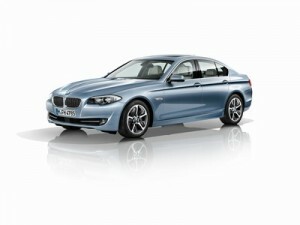 The world premiere of BMW’s ActiveHybrid5, a full-hybrid Sedan. Audi is debuting its A1 Sportback, which offers sports suspension, alloy wheels, sports seats and greater head and shoulder room than the A1. Honda is revealing 7 concept vehicles, including the Sports EV Concept, a next-generation compact sports car that combines driving pleasure with superb environmental performance. Another new concept for Honda is the AC-X, a plug-in hybrid designed for longer distances as well as city-centre driving. The Toyota FT-EV III is a four-seater concept perfect for shorter trips. This might be a hint of what the EV vehicle Toyota is planning on releasing in 2012 will look like. Nissan’s next-generation van prototype, the NV350 is a light commercial van with improved fuel economy and contemporary, sturdy styling. Concept cars include the ESFLOW, a dramatically styled EV sports car, and the PIVO 3, an urban commuter with Automated Valet Parking. Mitsubishi’s Mirage focuses on compactness and fuel efficiency, achieved through weight reduction throughout the design. Weird and wonderful futuristic cars include Honda’s Micro Commuter Concept and the Toyota FCV-R, a hydrogen fuelled family-sized car that is a stepping stone on their path to releasing a fuel-cell car in 2015. Porsche are premiering their 911 Cabriolet, although as yet there are no pre-release details. We will be having continually updated coverage from our representative at the show. Follow us on twitter , like our facebook page or google+ for photo and news updates from the show.